For the broadcasters and advertisers alike, the ability to accurately receive viewing figures is vital, as this information is the mechanism that ultimately drives revenue via advertising spend. Major shows and prime time slots command premium rates, for example ITV's X Factor Finals reportedly receiving six figure sums for 30 seconds of advertising. In order for the broadcaster to recognise this revenue potential, the advertisers need to know they are hitting the right demographic and are looking for minimal wastage, i:e where their campaign hits a demographic that its product is of no interest to. Whether a particular show is getting as many eyeballs as possible is important, but from an advertising perspective it is just as important that they are the eyes of their key target audience. Non-linear viewing is now on the increase, with non-traditional TV viewing said to make up one-in-five TV minutes, therefore it is important to be able to accurately report this data in order to realise the potential revenue it could yield. Since the early eighties, the Broadcasters' Audience Research Board (BARB) has been delivering the official viewing figures for UK television audiences. BARB has traditionally dealt with linear data and information that could be reported as one, which meant for a comprehensive analysis. The linear information collated by BARB was constantly received by way of their BARB panels, selected households who agreed to have a set-top box that accurately reports each family member's viewing habits. The introduction of non-linear viewing presents its own set of challenges, although viewing of this kind is often €œconnected€ and therefore easier to gather viewing data, systems are not set up for this non-linear information. The issue is not that linear and non-linear are difficult to report on in isolation, there simply hasn't been the infrastructure to support reporting for both. A common ground had to be reached where the analysis of the two delivery methods could be combined. This meant looking at the whole picture, including tracking time-shifted viewing for up to 28 days after a programme has aired. In order to address the changing landscape of where and how consumers view content, BARB announced Project Dovetail (PD). PD offers the ability to measure the performance of non-linear viewing of content, this data can then be blended with traditional linear viewing information collated from the BARB panel, to form a comprehensive analysis. This provides reports on not only what was watched but by whom and on which kind of device. In October, the TV Player Report was released by BARB as the first output from PD reporting on multi-screen viewing on laptop/desktop PCs, tablets and smartphones focusing on activity at device level, rather than at person level. Using this information, the next initiative from PD is to blend the linear data from the BARB panel, with the analytics from non-linear to create the comprehensive cross-platform measurement that accommodates the shift in viewing. The accuracy of all of this reporting, albeit linear or non-linear, is wholly reliant on the programme information being correct in the first place. The TV listings have to be accurate or the whole process will have been in vain. It is all very well being able to produce viewing figures, but it is imperative that those figures are reporting the activity of the correct programmes. 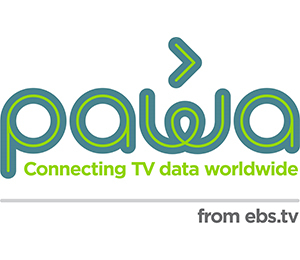 EBS currently supplies OFCOM and a number of BARB bureaux, who rely on EBS to provide high quality, accurate TV listing data, recognising the vital role it plays in the process as a whole. EBS maintains relationships with broadcasters in the UK and Ireland, receiving schedule data for over 700 channels, before augmenting it with extra metadata such as cast, director or year of production. Updates and amendments are all processed as a matter of priority ensuring that its data, and in turn the data of its customers is absolutely precise.